I love how this family has organized their shoes. Truth be told, I’m sure “mom” deserves a bigger basket. Lucy as well. 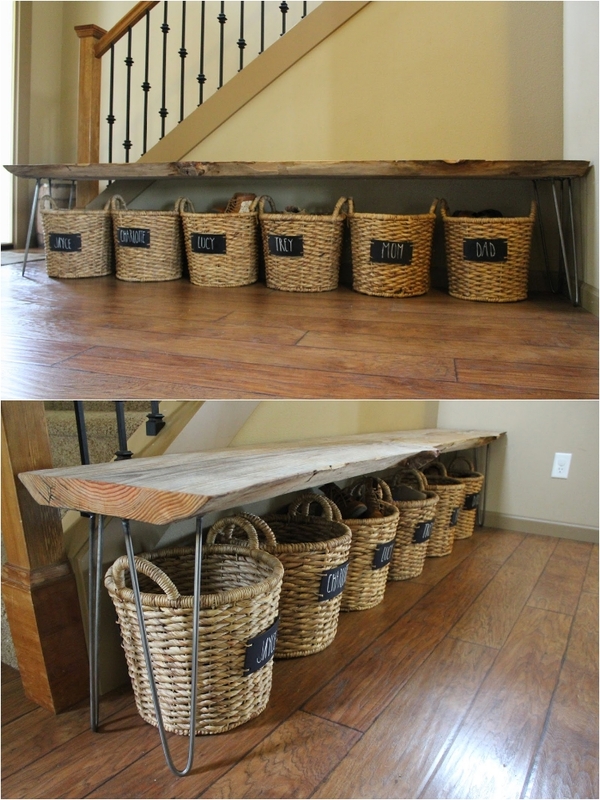 Nevertheless, it is definitely one of the more creative DIY storage solutions I’ve seen.